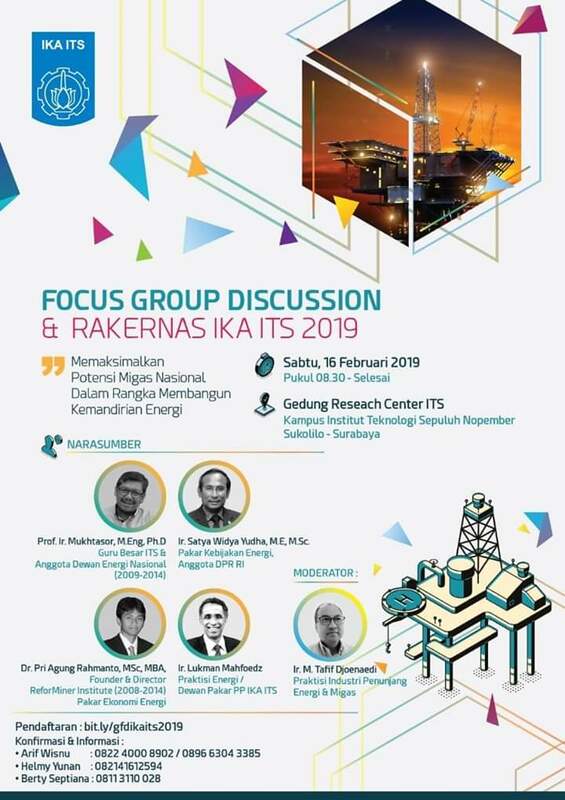 ITS Alumni Association (IKA ITS) will hold 2019 Focus Group Discussion & National Meeting with the theme of Maximizing The Potential of National Oil and Gas in Order to Build Energy Independence. Location: Research Center Building, Sepuluh Nopember Institute of Technology (ITS), Surabaya. The registration process could be accessed here.